AND OPTICAL LOSS TESTING KIT FOR ONLY $499 plus freight! BUY NOW. Prepared by Slayton Solutions Ltd, the leader in fiber optic training, this kit includes EVERY tool, adapter and the test cables that technicians need to properly prepare, terminate connectors, and performance test standard fiber optic installations and links. 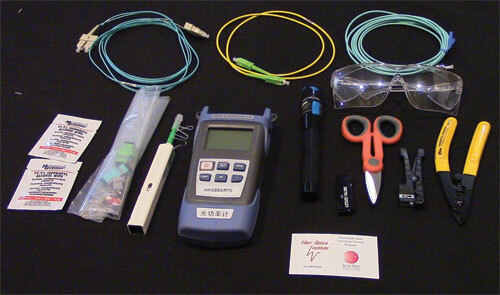 This kit includes: cable jacket entry tool, fiber optic stripper, precision cleaver, visible laser fiber tracer, optical power meter, test jumper cables for ST and SC connector types, singlemode APC SC jumper for FTTx testing, and the accessories needed to connect and test a wide variety of fiber optic links. Each kit comes with a hands-on instructional video flash drive with eleven sections showing you all of the steps required to properly perform fiber optic cable prep, termination, and testing. 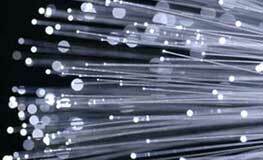 These kits also include your user/password to access the “Fiber Optics Institute” online complete fiber optic training program to help further your fiber knowledge and success. Each of the components in these kits have been individually tested and adjusted by Slayton Solutions Ltd. before shipment for 100% functionality.